Special day for some, heavily commercialized event for others…Anyway, Valentine’s day is fast approaching and everything will become red, as this color is associated with passion and love. 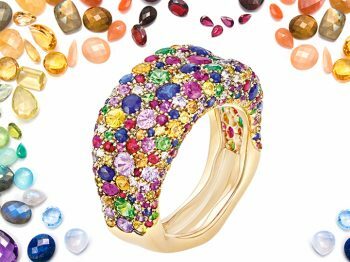 The Eye of Jewelry moves on from everything needing to be red at Valentine’s and opts this year for the vibrant green; the color of life, renewal and hope. If it wasn’t enough, green is also understood to be the most restful and relaxing color for the human eye to view. What a better color to take easily the final countdown until your diner date?! 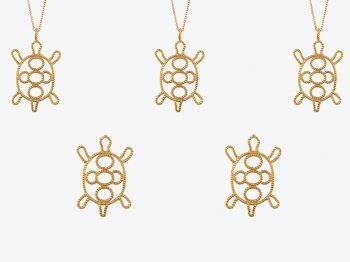 Whether you are planning to treat yourself or your beloved on February 14th, we have spotted 5 surprises that will make your Valentine do the roll up. 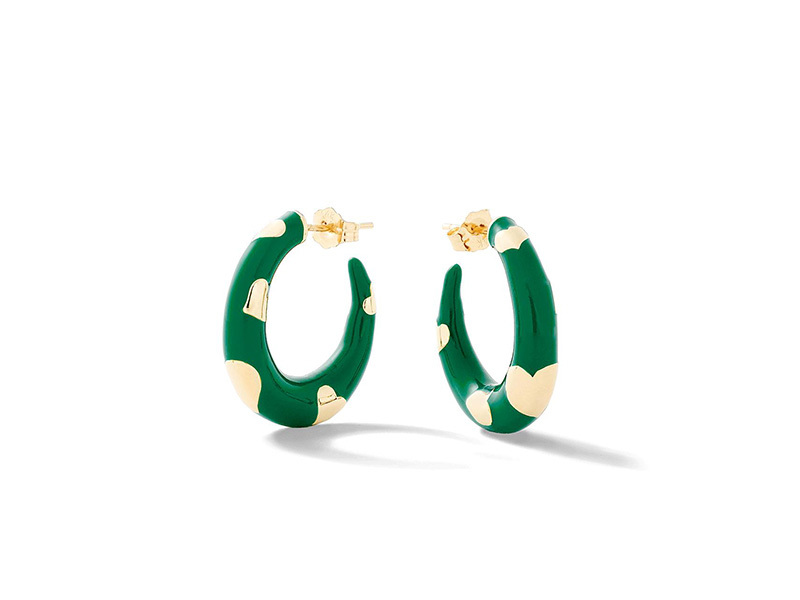 Earrings are a great choice to commit without feeling too much engaged: the so well-named « Petite amour » hoops from Alison Lou is the perfect classic piece with a twist to gift her. 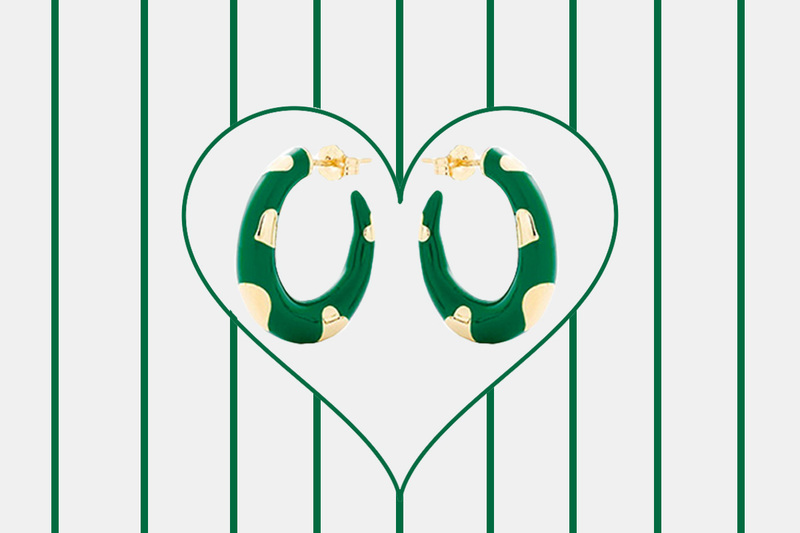 Featuring green enamel, these hoops are surrounding with a heart-shaped pattern that will make a hit. 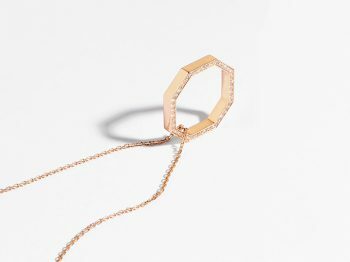 Timeless lovers will die for the latest creation of David Morris. 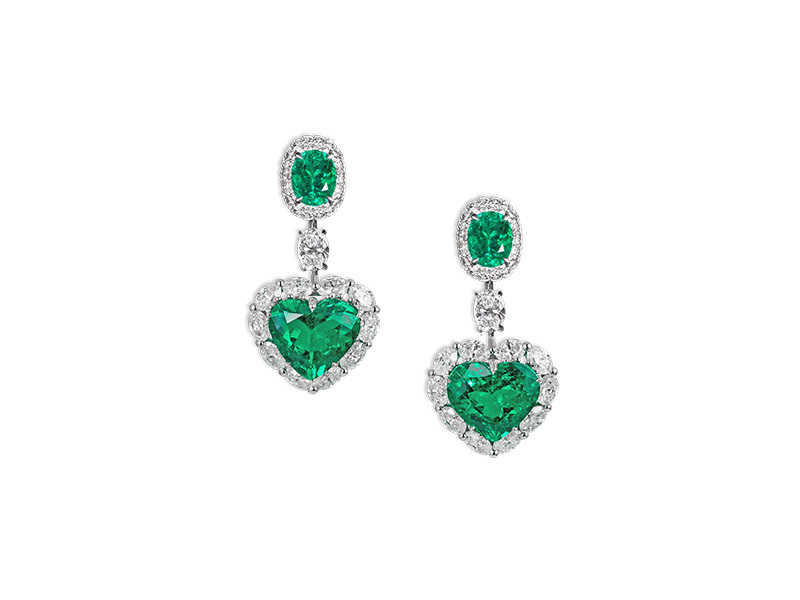 The London Jeweler has conceived a pair of Colombian emerald heart earrings set with marquise white diamonds that is beyond beautiful. A pure enchantment for her eyes…and yours! Ready for an electric night? 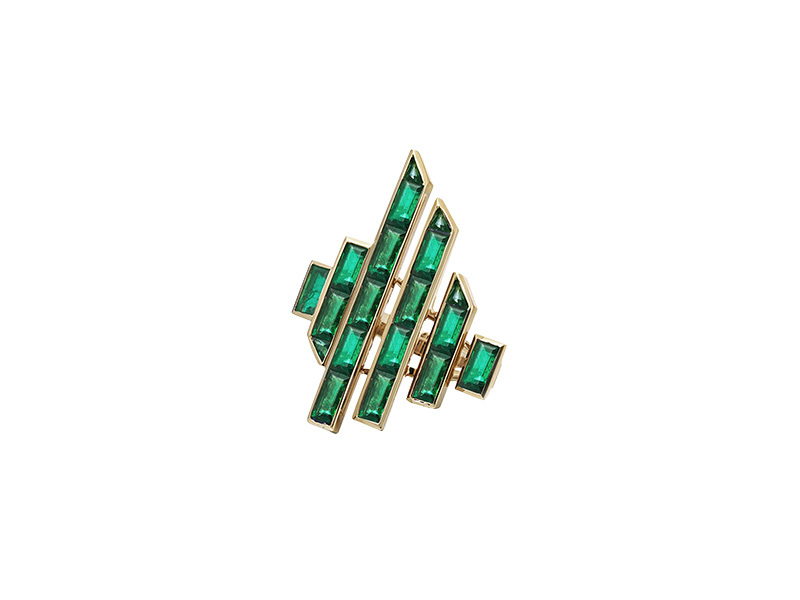 Tomasz Donocik’ bold ring stuns us with its graphic combination of emeralds triangle and baguettes stones, as does Suzanne Kalan with its one-of-kind band set with emerald baguettes. 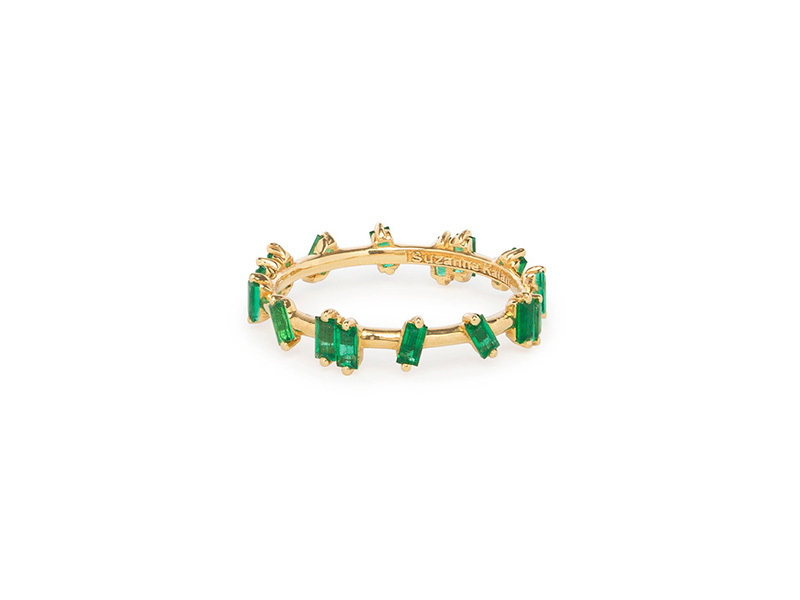 Besides, designer duo Kavant & Sharart proves that fine stones has nothing to envy to emeralds. 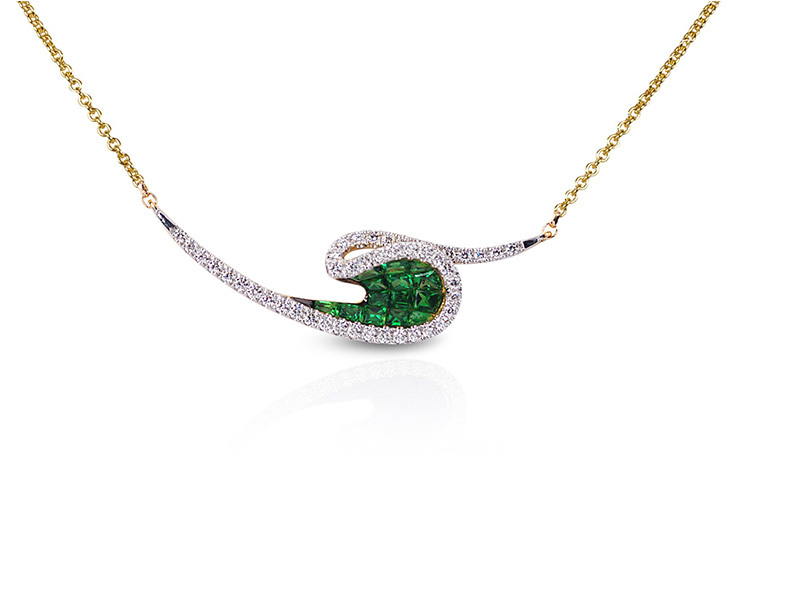 Its Wave necklace combines a Talay Tsavorite to sparkling diamonds in a delicate luxurious wave that will adorn the neck of your favorite!